This was Johnstone Burgh's final home game of a very disappointing season. There was some consolation in that another point was added to the points haul in what was a decent game where both teams had nothing to play for, with Neilston sitting safe in mid table, out of the running for promotion but also safe from the relegation battle at the bottom of the league. Neilston started the brighter of the two teams, and made the early running. They had the perfect chance to open the scoring from the spot very early on but the penalty was saved by Burgh keeper Fraser Wilson. Burgh during this time were having a their share of the ball but had no cutting edge up front. It was Neilston who took the lead around the 20 minute mark when a speculative half shot looped over Fraser Wilson, the goal just about deserved on balance of play. Whist Burgh continued to see a lot of the ball it was Neilston that continued to threaten and they came close a couple of times to adding to their lead. 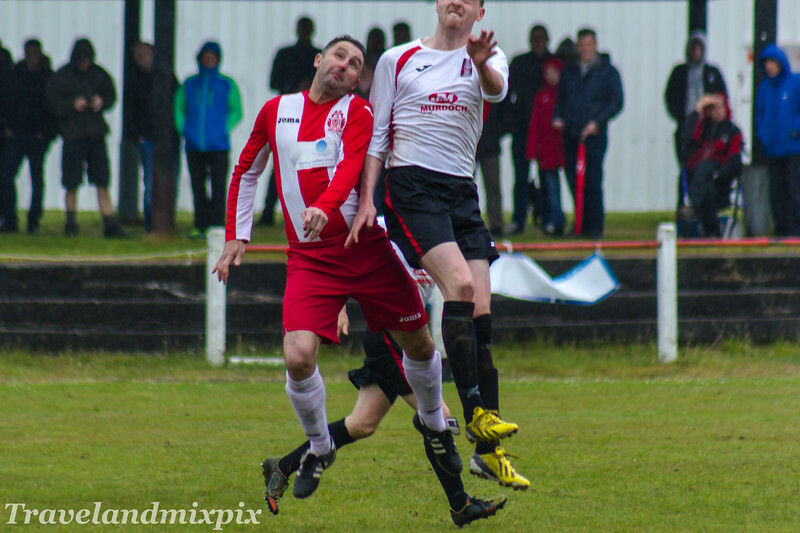 The half ended with Neilston a goal up. In the second half Burgh came more into the game and were more direct and at times had Neilston on the back foot, although for a lot of the early period in the half both sides cancelled each other out in midfield. Burgh's goal came around the hour mark, caused by confusion between the Neilston centre half and goal keeper when the defender attempted to head it back only for it to loop over the head of the keeper allowing Jack Docherty to tap in to the empty net. After this Neislton upped their game in an attempt to get a second and came close a few times being kept out by Wilson in the Burgh goal. At the end Burgh almost stole it when a speculative cross passed everyone and bounced off the crossbar and over. This meant the game ended 1-1. As the campaign draws to a close a number of factors can be used to help explain away the season which ended in only 2 league victories and finishing bottom with the second lowest number of goals scored and joint highest goals conceded. The loss of key players from the season previous to injury and moving on is a big factor. Another big factor is lack of money, meaning no one can be attracted to the club and that players that are brought in are generally from amateur or Johnstone Burgh under 21 players who performed with differing degrees of success when played. A season that will be forgotten quickly by the Burgh support. It will be all change again next season with Burgh back in Division 2 and likely with a whole new playing staff kicking the season off.